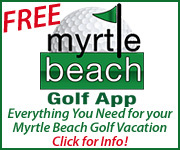 Pennsylvania Man Makes Two Holes in One in Single Round on Myrtle Beach Golf Trip! 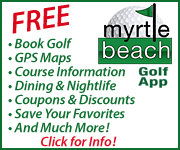 There is an old saying that timing is everything in life and at least one Myrtle Beach golfer isn’t likely to argue. 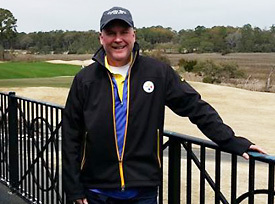 At 7:30 a.m. on March 19, John Ponter and the three friends he had traveled to Myrtle Beach with called Oyster Bay, one of the area’s most popular courses, in search of an unlikely tee time. “We had a cancellation in the morning and they called like five minutes later and got an 8:20 tee time,” said Brian Altena, Oyster Bay’s first assistant. But fate was just beginning to smile on Ponter. Eighteen holes later, Ponter, who plays a “couple times a year,” had completed one of golf’s rarest feats – making two holes in one in a single round. How rare was Ponter’s accomplishment? The odds are 67 million to 1, according to one source. “My reaction was disbelief,” said Ponter, who had never seen an ace, much less recorded his own, heading into the round. The Baden, Pa., native started on the 10th hole and recorded his first hole-in-one playing from the white tees on the 15th hole (his sixth of the day). The shot bounced a couple times and rolled in the cup in plain view of the entire group, setting off the first round of euphoria. After the required jokes about doing it again, Ponter stepped onto the sixth tee box (his 15th hole) and did the nearly impossible. 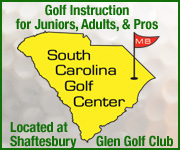 The pair of aces fell in the middle of a week-long trip to Myrtle Beach that included nine rounds of golf, more swings than Ponter cares to recount, and a story he will never tire of retelling. The 53-year-old not surprisingly recorded his best round at Oyster Bay – an 89 that included those two aces. According to Heinz, Ponter’s game is best not evaluated by score alone. But that’s irrelevant to Ponter, who celebrated by playing an additional 18 holes that afternoon at Thistle, having a couple drinks with his buddies, and playing 36 more the following day.